Finally hear all the great things your patients are saying! Organizations that use a ServiceGuru kiosk improve their online reviews and get over 50 times more ratings than Yelp, Google, Facebook and TripAdvisor combined. And, the feedback is overwhelmingly positive. 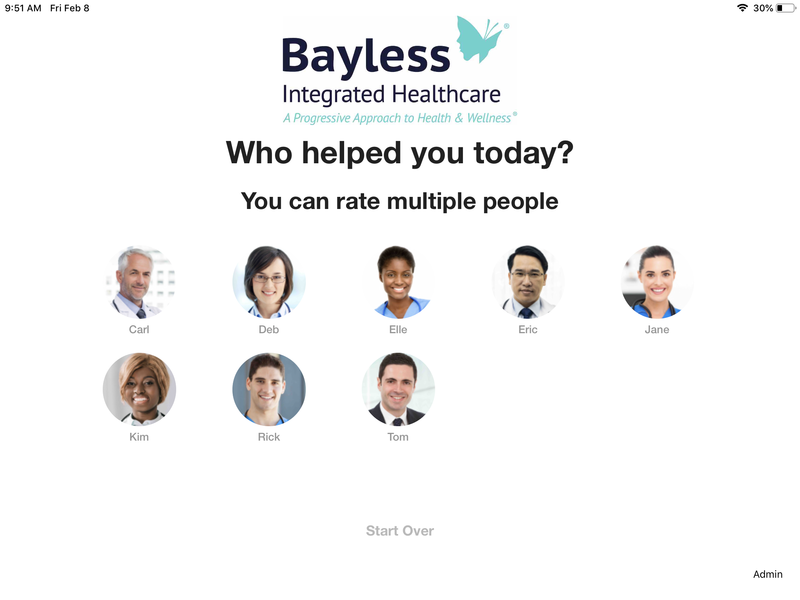 50x more patient reviews than other methods. The in-office kiosk naturally gets high engagement because it’s in front of your patients when they’re thinking about you. We went further to design a process that was super fast and easy to use. 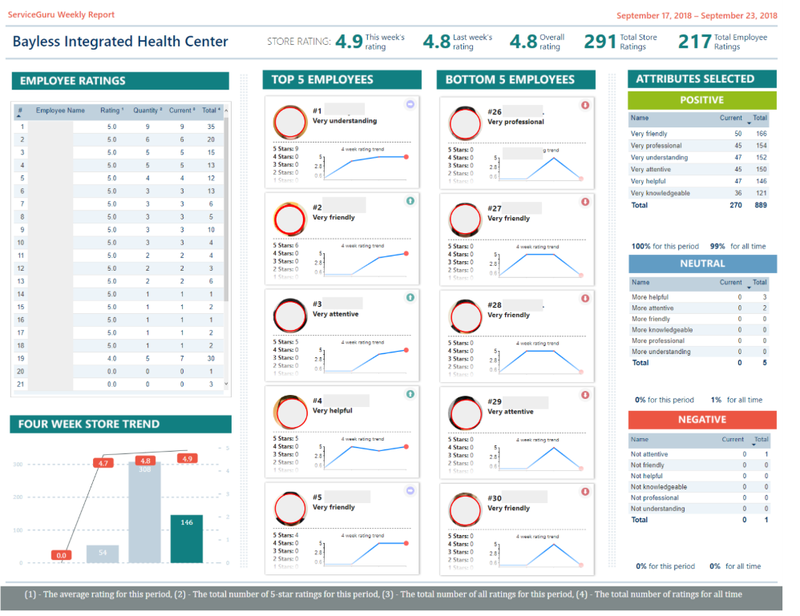 Measure patient service at the staff/provider level. You can’t manage what you don’t measure. The ServiceGuru kiosk produces customer service data that is more representative (because of the amount you get) and actionable (because of the questions we ask). You’ll understand why your customers feel a certain way and how to improve your service. We use questions to understand not only how your customers feel (1 to 5 stars) but why they feel that way. They review your employees and can assign attributes like knowledgeable, friendly, professional, etc. Immediate notifications to resolve problems fast. When your customer leaves a negative review on the ServiceGuru kiosk, you’ll receive an email with “IMPORTANT” in the subject line so you can take immediate action to resolve the problem before it hits the internet. Collect emails/phone numbers for follow up. Collect emails and phone numbers through the kiosk to market to your customer base and keep them coming back. In addition, ServiceGuru can automatically text your happiest customers and make it easy for them to share their experience on your preferred review site (Google, Yelp, Facebook, TripAdvisor, etc.). Since we have implemented ServiceGuru it has helped drive the support staff (MA’s and PSR’s) to go above and beyond which has been great! 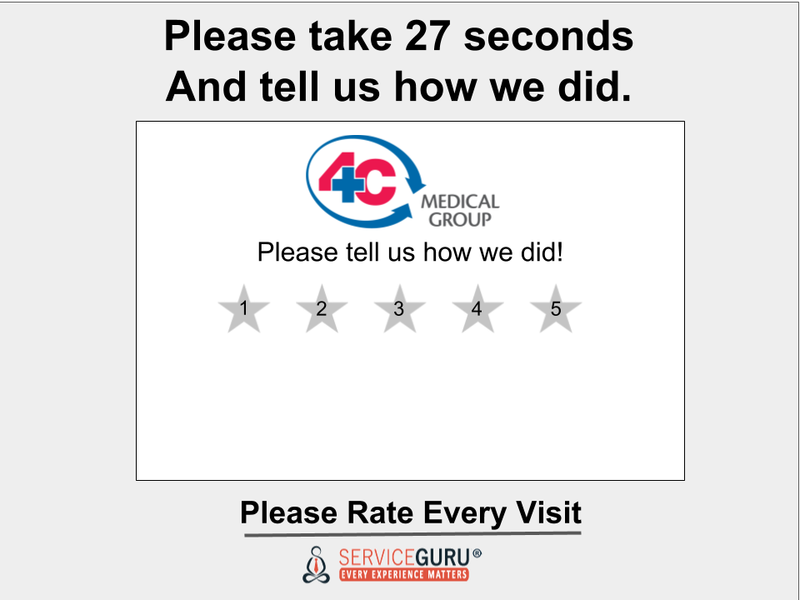 Patients have liked giving their feedback and knowing their opinion matters to us. Fill out the form for more information or to see a guided demonstration and learn how medical practices are improving the patient experience on the ServiceGuru Platform.